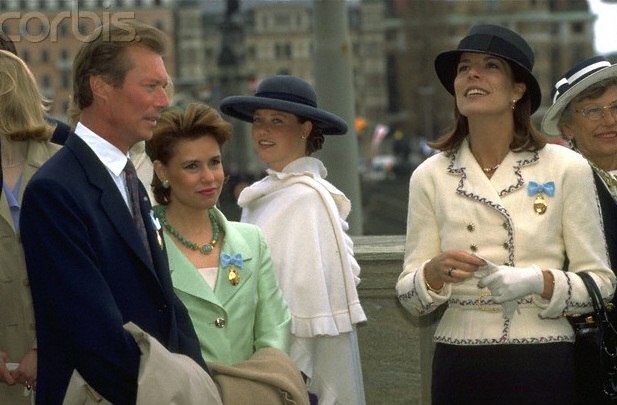 Caroline, Princess of Hanover (Caroline Louise Marguerite Grimaldi; born 23 January 1957), is the eldest child of Rainier III, Prince of Monaco, and the American actress Grace Kelly. She is the elder sister of Prince Albert II and Princess Stéphanie. 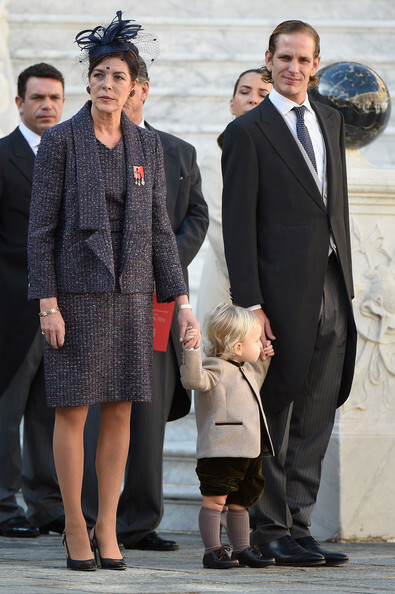 Until the births of her niece and nephew, Princess Gabriella and Prince Jacques, in December 2014 she had been heir presumptive to the throne of Monaco since 2005, a position which she previously held from 1957 to 1958. Caroline is married to Ernst August, Prince of Hanover (born 1954), the heir to the former throne of the Kingdom of Hanover, as well as the heir male of George III of the United Kingdom. Caroline was born on 23 January 1957 in the Prince's Palace, Monaco. She is the eldest child of Rainier III, Prince of Monaco, and his wife, former American actress Grace Kelly. Christened Caroline Louise Marguerite, she belongs to the House of Grimaldi. She was the heir presumptive from her birth to 14 March 1958, when her brother Prince Albert was born. On 1 February 1965, her younger sister Princess Stéphanie was born. Caroline is a legitimate patrilineal descendant of the Dukes of Polignac, and as such belongs to the historical French nobility. Through her mother, she is of Irish and German descent. As a child, she spent some of her time at the home of her maternal grandparents John B. Kelly Sr. and Margaret Major in Philadelphia. In an interview for People in April 1982, shortly before her death, Grace described Caroline and Stéphanie as "warm, bright, amusing, intelligent and capable girls. They're very much in tune with their era. Besides being good students, they are good athletes – excellent skiers and swimmers. Both can cook and sew and play the piano and ride a horse. But, above all, my children are good sports, conscious of their position and considerate of others. They are sympathetic to the problems and concerns in the world today." Caroline spent the summer of 1971 at Camp Oneka in the Poconos. While there, unbeknownst even to her parents, she was protected by the United States Secret Service. Princess Grace died on 14 September 1982, the day after suffering a stroke while driving her car, as she and Princess Stéphanie were returning home to Monaco from a visit to France; resulting in an accident in which both were injured. The princess received her French baccalauréat in 1974 with honors. She was also educated at St Mary's School Ascot. Caroline continued her studies at the Sorbonne University, where she received a diploma in philosophy and minors in psychology and biology. She is fluent in French, English, Spanish, German and Italian. In 1979, Princess Caroline was appointed by her father as the president of the Monegasque Committee for the International Year of the Child. Two years later, in 1981, she founded her own foundation Jeune J'écoute. Other philanthropic organizations Caroline has been involved with include the World Association of Children's Friends (AMADE), the Princess Grace Foundation, the Prince Pierre Foundation, the Peter Le Marchant Trust and UNICEF. Her other patronages include the International School of Paris, Les Ballets de Monte Carlo, which she also founded, the Monte-Carlo Philharmonic Orchestra, the Association des Guides et Scouts de Monaco, the Monte Carlo Garden Club and The Spring Arts Festival. Following her mother's death in 1982, Caroline served as de facto first lady of Monaco until her brother married Charlene Wittstock in 2011. She regularly attends important social events in Monaco related to the Monegasque Princely Family, such as the National Day celebrations, the annual Rose Ball, the Red Cross Ball and the Formula One competition Monaco Grand Prix. Due to her commitment to philanthropy and arts, Caroline was named a UNESCO Goodwill Ambassador on 2 December 2003. The UNICEF honoured her with Children's Champion Award on 20 May 2006. The next year, she travelled to the Republic of South Africa to meet its former president Nelson Mandela. In December 2011, the World Association of Children's Friends honoured her for "tireless endeavours in continuing the organisation's legacy". Her personal friend and the Chanel head designer Karl Lagerfeld presented her the award. Caroline had also previously been given the Grand Cross of the Order of St. Charles, and had been appointed as the Commander of the Order of Cultural Merit. Caroline's personal interests include horseback riding, swimming and skiing. Since her youth, she has been considered an international fashion icon and as one of the best dressed women in the world. In November 2011, an exhibition honouring Princess Caroline was opened at the National Museum of Monaco. Caroline was romantically linked to many famous men, including Mark Shand, the younger brother of Camilla, Duchess of Cornwall; Guillermo Vilas; Sebastian Taylor, who had previously dated Princess Elizabeth of Yugoslavia; Jonathan Guinness, the son of Jonathan Guinness, 3rd Baron Moyne; Henri Giscard d'Estaing, the son of former President of France Valéry Giscard d'Estaing; and French singer Philippe Lavil. Following her divorce from Philippe Junot, she was briefly engaged to Robertino Rossellini, the son of Roberto Rossellini and Ingrid Bergman. Between her second and third marriages, Caroline had a relationship with French actor Vincent Lindon. Princess Caroline's first husband was Philippe Junot (born 19 April 1940), a Parisian banker. They were married civilly in Monaco on 28 June 1978, and religiously on 29 June 1978. Their lavish wedding ceremony was attended by some 65 guests, including Hollywood stars Ava Gardner, Cary Grant and Frank Sinatra. The couple divorced, childless, on 9 October 1980. In 1992, the Roman Catholic Church granted the princess a canonical declaration of nullity. Alexandre "Sasha" Andrea Stefano Casiraghi (born on 21 March 2013 at Portland Hospital in London; entered the line of succession to the Monegasque throne when his parents married). India Casiraghi (born on 12 April 2015 in London). Maximilian Rainier Casiraghi (born on 19 April 2018 in London). Raphaël Elmaleh (born on 17 December 2013 at Princess Grace Hospital Centre in Monaco). Balthazar Rassam (born on 13 October 2018 at Princess Grace Hospital Centre in Monaco). Stefano Ercole Carlo Casiraghi (born on 28 February 2017 at Princess Grace Hospital Centre in Monaco). Francesco Carlo Albert Casiraghi (born on 21 May 2018 at Princess Grace Hospital Centre in Monaco). The two younger children are named for their maternal great-grandparents, Princess Charlotte and Prince Pierre, while Andrea was named for a childhood friend of his father's. Stefano Casiraghi was killed in a speed-boating accident in 1990, aged 30 years. Even though their parents had not married in the Church, as required for legitimacy under church law, they were legitimised by Pope John Paul II in February 1993, eight months after their mother's marriage to Junot had been annulled in June 1992. Caroline's third and current husband is Prince Ernst August of Hanover, Duke of Brunswick, head of the House of Hanover which lost its throne in 1866. From 1913 to 1918, his family ruled the sovereign Duchy of Brunswick. The couple married in Monaco on 23 January 1999. Ernst August had previously divorced his first wife Chantal Hochuli, with whom he had sons Prince Ernst August and Prince Christian, and who had been Caroline's friend. Princess Alexandra Charlotte Ulrike Maryam Virginia of Hanover (born 20 July 1999 in Vöcklabruck, Austria). Her husband's title as Duke of Brunswick is honorific since the ruling family of that state was removed by the Weimar Republic in 1918, along with all royal and noble German ruling families, which were still allowed to retain their titles. Neither she nor her husband has royal rank in Germany, but Monaco recognizes the Hanoverians' former German royal titles, attributing to the couple the style of Royal Highness. On 11 January 1999, shortly before Caroline and Ernst's wedding, his fourth cousin once removed (George III was their common ancestor), Queen Elizabeth II of the United Kingdom, issued this Order in Council, "My Lords, I do hereby declare My Consent to a Contract of Matrimony between His Royal Highness Prince Ernst August Albert of Hanover, Duke of Brunswick-Luneburg and Her Serene Highness Princess Caroline Louise Marguerite of Monaco...". As a legitimate male-line descendant of George III, Ernst August was subject to the Royal Marriages Act 1772 (repealed in 2015). Prior to the repeal of the Act, the revised form of which limits those who must gain permission to the first six people in the line of British succession, marrying without the Queen's Royal Assent would have meant their marriage would be void in Britain, where Ernst August's family owned substantial property and he holds (dual) citizenship. Likewise, the Monégasque court officially notified France of Caroline's contemplated marriage to Prince Ernst August and received assurance that there was no objection, in compliance with Article 2 of the 1918 Franco-Monégasque Treaty. Despite obtaining the official approval of the governments of France, Monaco and the United Kingdom, upon Caroline's marriage to Ernst August he forfeited his own place in Britain's order of succession. He is also subject to the Act of Settlement 1701, which imposes that consequence upon British dynasts who marry Roman Catholics. In 2009, it was reported that Caroline had separated from Ernst August and returned to live in Monaco. In January 2010, photos emerged of Ernst August kissing a woman who was not identified as Caroline, leading press to speculate that the couple are divorcing. Princess Caroline's residence is the Villa Clos St Pierre in Monaco-ville where she lives with her youngest child, Princess Alexandra. Caroline has had a bad relationship with media and paparazzi since her youth, when she complained she "could not live the life of a normal student". On 24 June 2004, the Princess obtained a judgement from the European Court of Human Rights condemning Germany for non-respect of her right to private life under Article 8 of the European Convention on Human Rights. Caroline invoked the judgment in combination with articles 1(1) and 2(1) of the Basic Law (human dignity and personal freedom, respectively) as well as § 22 of the German Art and Photography Copyright Act or KunstUrhG (no publication of personal images without permission) in a new domestic case, attempting to get the courts to prohibit publication of certain images of her in a private setting. The Supreme Court accepted her claim with regards to two images, but did not prohibit publication of a third, stating that the image accompanied an article about a subject of public interest, which allows publication without permission per § 23 of the KunstUrhG. Caroline appealed to the Federal Constitutional Court which affirmed the Supreme Court's judgement. Unsatisfied with this result, Caroline filed a new complaint with the European Court of Human Rights. This time, the court found that the domestic courts had properly weighed the competing interests of Caroline's privacy and the press' right to freedom of expression, and thus found that there had been no violation of Article 8. In April 1981, the Princess penned an essay, entitled "Home" and published in the International Herald Tribune's supplement. The byline was "Caroline de Grimaldi." In the essay, she wrote: "I long for the Mediterranean ... I feel in my bones that I belong in Monaco." Princess Caroline was heir presumptive to the crown of Monaco until the birth of her brother's legitimate children. There is precedent for a Monégasque prince to adopt his own illegitimate child and thereby place that child at the head of the line of succession to the Monegasque throne, as was done for Caroline's grandmother, Princess Charlotte, Duchess of Valentinois. However, because of changes to the constitution of Monaco in 2002, this was no longer an option. Albert's lack of legitimate children until the 2010s prompted Prince Rainier III to change the constitution so as to ensure there would be a successor to the throne, which strengthened the places of Caroline and her descendants in the line of succession. 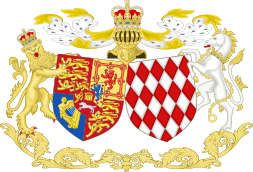 On 2 April 2002, Monaco passed Princely Law 1.249, which provides that if the Sovereign Prince assumes the throne and then dies without a legitimate direct heir, the throne will pass to his dynastic siblings and their descendants according to the rule of male-preference cognatic primogeniture. The law was then ratified by France, as required by a 1918 Franco-Monégasque Treaty, on 4 October 2005. Before this change, the crown of Monaco could pass only to a descendant of the last reigning prince, excluding such collateral relations as siblings, nephews, and nieces. Caroline is usually referred to and addressed by the female form of the higher style attributed (by tradition) to her husband, i.e. 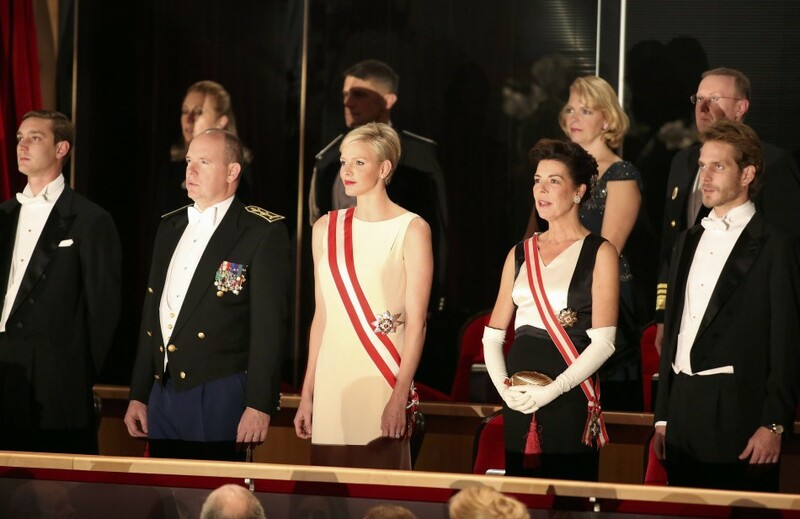 "Her Royal Highness The Princess of Hanover", rather than by her own legal but lower title that, until 10 December 2014, was "Her Serene Highness The Hereditary Princess of Monaco". Historically, styles associated with kingdoms, such as Ernst August's, have been deemed of higher rank and status than those associated with principalities. 6. John B. Kelly Sr.
^ de Badts de Cugnac, Chantal; Coutant de Saisseval, Guy (2002). Le Petit Gotha (in French). Paris: Nouvelle Imprimerie Laballery. pp. 63 & 70. ISBN 2-9507974-3-1. ^ "Haus Hannover". Genealogisches Handbuch des Adels, Fürstliche Häuser (in German). XVIII. C.A. Starke Verlag. 2007. pp. 23 & 25. ISBN 978-3-7980-0841-0. ^ Schulze, Hermann (1862). Die Hausgesetze der regierenden deutschen Fürstenhäuser (in German). I. Jena: Verlag von Friedrich Mauke. p. 491. ^ a b c d "Monaco royal taken seriously ill". BBC News. London. 8 April 2005. Retrieved 27 January 2013. ^ Jacobs, Laura (May 2010). "Grace Kelly's Forever Look". Vanity Fair. Retrieved 28 March 2012. ^ Herzog, Buck (14 January 1956). "'Irish' Grace Kelly Is Half German". The Milwaukee Journal Sentinel. Retrieved 28 March 2012. ^ Hauptfuhrer, Fred (5 April 1982). "Aging Gracefully". People. Retrieved 28 March 2012. ^ Baker, Sue Ann (2015). Behind the Shades: A Female Secret Service Agent's True Story. BookBaby. ISBN 9780996159517. Retrieved 10 December 2018. ^ a b c "H.R.H. 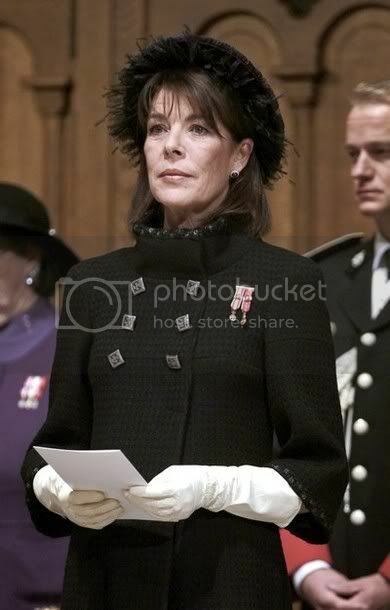 The Princess of Hanover". Prince's Palace of Monaco. Archived from the original on 2 September 2011. Retrieved 28 March 2012. ^ a b Dowling, Kenny; Ward, Penny (30 August 1976). "Sweet Caroline". People. Retrieved 28 March 2012. ^ "H.R.H. 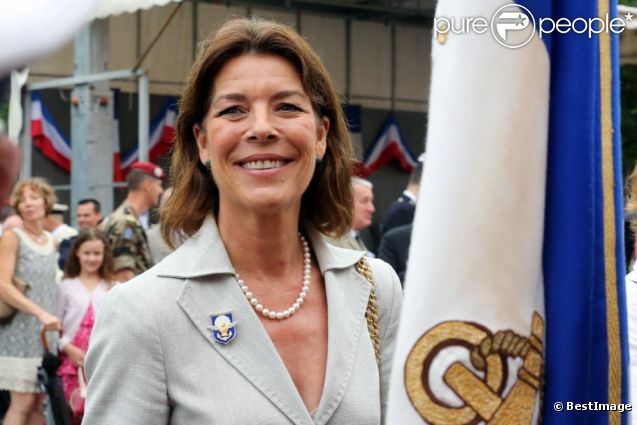 the Princess of Hanover chairs the plenary assembly of AMADE". Prince's Palace of Monaco. 26 April 2007. Archived from the original on 20 October 2011. Retrieved 28 March 2012. ^ "28th annual Princess Grace Awards gala". Prince's Palace of Monaco. 10 November 2010. Archived from the original on 31 December 2011. Retrieved 28 March 2012. ^ "The Prince Pierre Foundation". Prince's Palace of Monaco. 4 October 2011. Archived from the original on 17 January 2013. Retrieved 28 March 2012. ^ "International School of Paris". Prince's Palace of Monaco. 6 June 2003. Archived from the original on 20 October 2011. Retrieved 28 March 2012. ^ "La compagnie". Les Ballets de Monte Carlo (in French). Retrieved 28 March 2012. ^ "Orchestre Philharmonique de Monte-Carlo – Historique". Monte-Carlo Philharmonic Orchestra (in French). Archived from the original on 18 October 2011. Retrieved 28 March 2012. 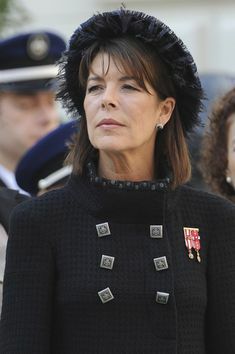 ^ "Princess Caroline of Monaco". Biography.com. Retrieved 28 March 2012. 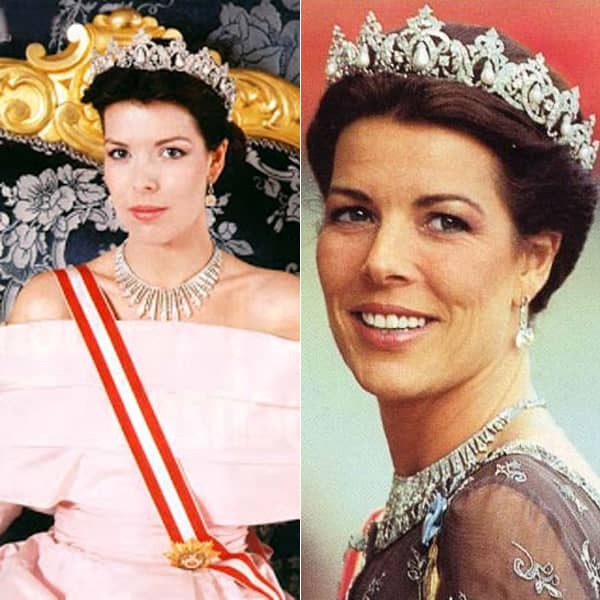 ^ "Princess Caroline of Monaco". Hello. Retrieved 28 March 2012. 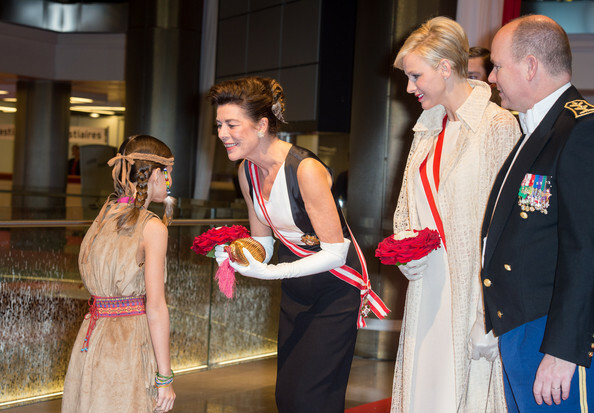 ^ "United and official: Charlene celebrates first National Day as princess". Hello. 21 November 2003. Retrieved 9 February 2012. ^ "Monaco Rose Ball, Moroccan Style". The Royal Forums. 31 March 2010. Retrieved 9 February 2012. ^ "Monaco Royals at the F1 Grand Prix". Royalty in the News. 16 May 2010. Archived from the original on 16 January 2013. Retrieved 9 February 2012. ^ "Princess Caroline becomes U.N. Goodwill Ambassador". Hello. 27 November 2003. Retrieved 28 March 2012. ^ "Princess Caroline visits Nelson Mandela". Hello. 13 February 2007. Retrieved 28 March 2012. ^ "Caring Caroline honoured for following in Princess Grace's footsteps". Hello. 14 December 2011. Retrieved 28 March 2012. ^ "N° 7729 du VENDREDI 11 NOVEMBRE 2005 * Ordonnance Souveraine n° 254 d…". 3 July 2013. Archived from the original on 3 July 2013. ^ Wohlfert, Lee (28 February 1977). "Here They Are Again, the World's Best-dressed Women—but Who Says So? and Why?". People. Archived from the original on 16 January 2013. ^ "The International Hall of Fame: Women". Vanity Fair. 7 July 2011. Archived from the original on 21 May 2012. Retrieved 28 March 2012. ^ "Camaleónica, atractiva, misteriosa… Una exposición muestra a Carolina de Mónaco a través del objetivo de grandes artistas". ¡Hola! (in Spanish). 8 November 2012. Retrieved 28 March 2012. ^ "Caroline Kicks Up Her Heels in London, and Mother Worries Back Home". People. 24 November 1975. Archived from the original on 16 January 2013. Retrieved 28 March 2012. ^ "Monaco Special: Princess Caroline". Hello. April 2005. Retrieved 28 March 2012. ^ "'Iconic royal wedding gowns". Harpers Bazaar. ^ "The turbulent love life and marriages of Albert's sisters". Hello. 14 June 2011. Retrieved 28 March 2012. ^ "Tatiana Santo Domingo and Andrea Casiraghi welcome baby – Hello Magazine". hellomagazine.com. Retrieved 15 September 2015. ^ "Charlotte Casiraghi, Princess Grace's Granddaughter, Gives Birth". 15 November 2018. Archived from the original on 15 November 2018. Retrieved 24 October 2018. ^ "Charlotte Casiraghi a accouché de son deuxième enfant" (in French). 24 October 2018. Retrieved 15 April 2019. ^ Velde, François (22 March 2006). "Monaco: The Treaties of 1861 and 1918". www.heraldica.org (in French). Retrieved 14 January 2009. ^ "Questions over Princess Caroline's marriage as Ernst of Hanover increasingly absent". Hello. 10 September 2009. Retrieved 28 March 2012. ^ Allen, Peter (12 September 2009). 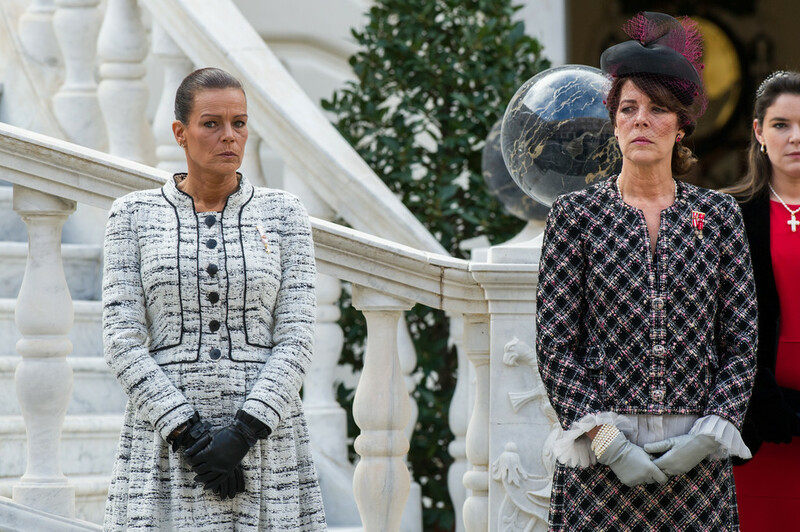 "Princess Caroline 'to divorce third husband', reigniting fears of a Monaco royal curse". Daily Mail. Retrieved 28 March 2012. ^ Hall, Allan (8 January 2010). "Princess Caroline of Monaco hit by divorce rumors as husband is pictured kissing younger woman". Daily Mail. Retrieved 28 March 2012. ^ Hauptfuhrer, Fred (1 September 1975). "Princess Pains". People. Retrieved 28 March 2012. ^ "Case of Von Hannover v. Germany". European Court of Human Rights. 24 June 2004. Retrieved 28 March 2012. ^ Borberg, Vibeke (2015). "Mediernes ret til at offentliggøre billeder af offentligt kendte personer efter von Hannover nr. 2" [The media's right to publish images of publicly known persons after von Hannover no. 2]. Juristen. 2015 (1): 10. ^ "Case of Von Hannover v. Germany No. 2". European Court of Human Rights. 7 February 2012. Retrieved 28 March 2012. ^ "ECHR lowers the private life protection standard". www.eurolitigation.eu. 11 February 2012. Retrieved 28 March 2012. ^ a b c Englund, Steven (1984). Grace of Monaco. New York: Doubleday. ISBN 9780385188128. Retrieved 10 December 2018. ^ "Royal-Confessions - "Many years ago, before she married Stefano, mayb…". 10 December 2018. Archived from the original on 10 December 2018. ^ Velde, François (22 March 2006). "Monaco: The Succession Crisis of 1918". Heraldica (in French). Retrieved 14 January 2009. ^ a b Velde, François (22 March 2006). "Monaco: The Constitution 2002". Heraldica (in French). Retrieved 14 January 2009. ^ Knightley, Emma. Princely Monaco XXI: The House of Grimaldi in the 21st Century. ISBN 9780359058945. ^ Hubbard, Kim (8 February 1999). "Ernst Goes to Monaco". People. Retrieved 14 January 2009. ^ a b c d Palais Princier de Monaco. "Prince's Palace of Monaco". palais.mc. Retrieved 15 September 2015. ^ "Image: princess caroline--z.jpg, (600 × 600 px)". hellomagazine.com. 20 August 2013. Retrieved 15 September 2015. ^ "Image: Princess+Caroline+Monaco+National+Day+2012+fl7oTeYUWoHl.jpg, (594 × 413 px)". www1.pictures.zimbio.com. Retrieved 15 September 2015. ^ "Image: princess-charlene-prince-albert-celebrate-monaco-national-day.jpg, (950 × 616 px)". d.ibtimes.co.uk. Retrieved 15 September 2015. ^ "Image: Princess+Caroline+Monaco+National+Day+Celebrations+vgN1cz7Ts31l.jpg, (381 × 594 px)". www1.pictures.gi.zimbio.com. Retrieved 15 September 2015. ^ "Image: 950e011c5daa79f7bd5033203ed93304.jpg, (236 × 354 px)". s-media-cache-ak0.pinimg.com. Retrieved 15 September 2015. ^ "Image: Monaco+National+Day+2012+Award+Ceremony+vHsg_6gf03gx.jpg, (1024 × 681 px)". www2.pictures.zimbio.com. Retrieved 15 September 2015. ^ "Princess Caroline of Hanover leaves the Cathedral of Monaco after a... News Photo". Getty Images. Retrieved 15 September 2015. ^ "Image: alcharmndmass9.jpg, (390 × 610 px)". img.photobucket.com. Retrieved 15 September 2015. ^ "Image: Princess+Caroline+Monaco+National+Day+Award+zPlpXUuCQZSl.jpg, (395 × 594 px)". www3.pictures.zimbio.com. Retrieved 15 September 2015. ^ "Image: 459232924-princess-caroline-of-hanover-princess-gettyimages.jpg, (594 × 404 px)". cache1.asset-cache.net. 19 November 2014. Retrieved 15 September 2015. ^ "Princess Caroline of Hanover, Prince Albert II of Monaco and Princess... News Photo". Getty Images. Retrieved 15 September 2015. ^ "50th anniversary of king Carl Gustav of Sweden in Stockholm, Sweden... News Photo". Getty Images. Retrieved 15 September 2015. ^ "Princess Caroline Of Monaco Attends A Performance Of The Dramatic... News Photo". Getty Images. Retrieved 15 September 2015. ^ "9XBvVp_O8Bo.jpg (JPEG Image, 617 × 405 pixels)". royauxsuedois.r.o.pic.centerblog.net. 2015. Retrieved 29 November 2015. ^ "Image: 201407032139-full.jpg, (850 × 538 px)". static.ladepeche.fr. Retrieved 15 September 2015. ^ "Image: 885372-s-a-r-la-princesse-caroline-de-hanovre-637x0-2.jpg, (637 × 424 px)". static1.purepeople.com. Retrieved 15 September 2015. ^ "Image: 885398-la-princesse-caroline-de-hanovre-a-637x0-1.jpg, (637 × 425 px)". static1.purepeople.com. Retrieved 15 September 2015.